Each set contains two grips with a stainless steel quicklinks. 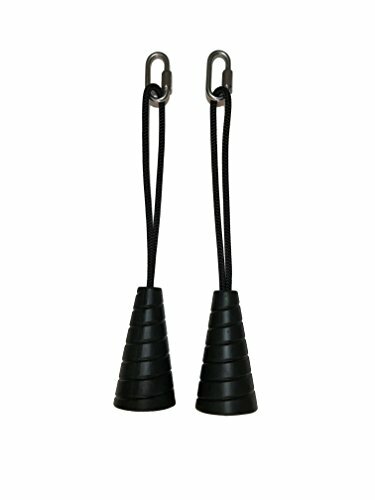 Singles attach effortlessly to exercise equipment to allow for comfortable, neutral grip exercises. HOW TO ATTACH THEM: Either use the carabiner and simply clip it to your equipment. Or wrap the Spiral Strength rope loop around the handle or bar and feed the base of the grip through the loop. Pull tightly and enjoy an instant neutral grip handle! Adds an instant neutral grip to all your favorite equipment - cable pull machines, suspension trainers, pull up bars, resistance bands, etc. If you have any questions about this product by Dynepic Sports, contact us by completing and submitting the form below. If you are looking for a specif part number, please include it with your message.